Ten Speed Press, 9781607745730, 232pp. Virginia Willis is not only an authority on Southern cooking. She's also a French-trained chef, a veteran cookbook author, and a proud Southerner who adores eating and cooking for family and friends. So when she needed to drop a few pounds and generally lighten up her diet, the most important criterion for her new lifestyle was that all the food had to taste delicious. 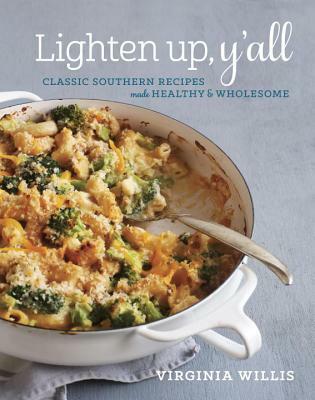 VIRGINIA WILLIS is the author of the acclaimed cookbooks Bon Appétit, Y’all; Basic to Brilliant, Y’all; Grits; and Okra. Willis is a columnist for FoodNetwork.com, a contributing editor to Southern Living, and was named one of “Seven Food Writers You Need to Know” by the Chicago Tribune. She lives in Atlanta, Georgia.